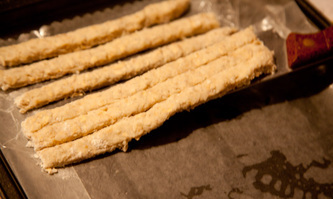 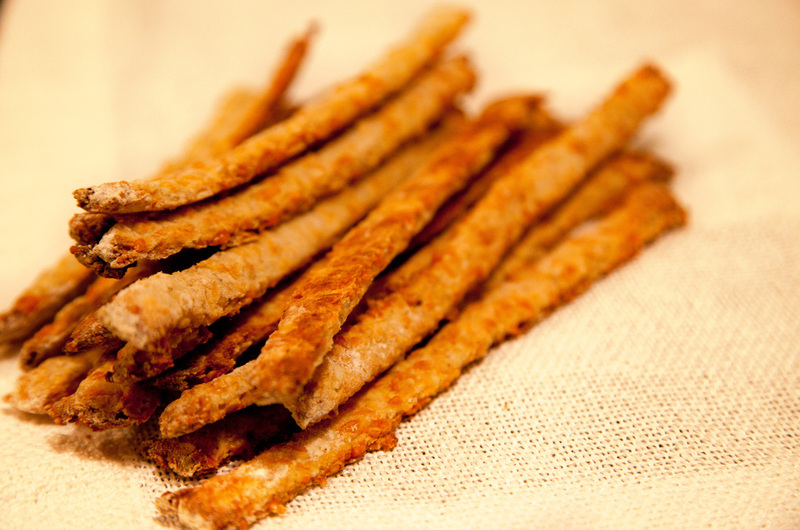 These crunchy sticks taste so good, that it is hard to believe that they are made from oat flakes. 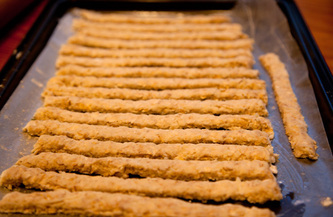 Baked them with variety of cheeses. 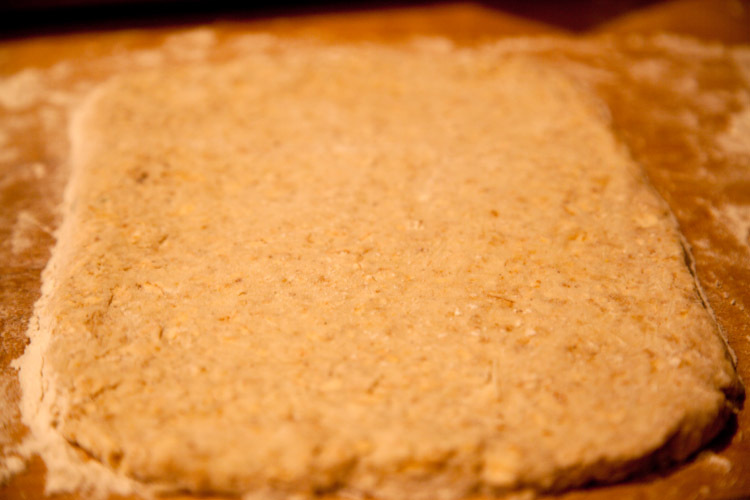 You can add rosemary, red pepper flakes or anything to taste. 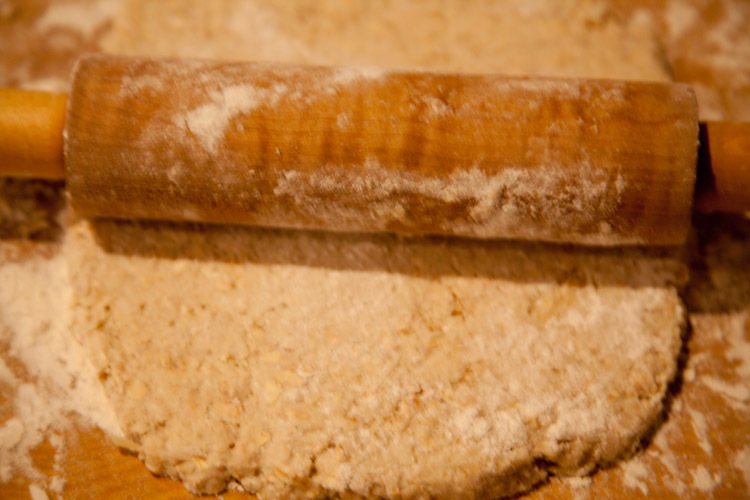 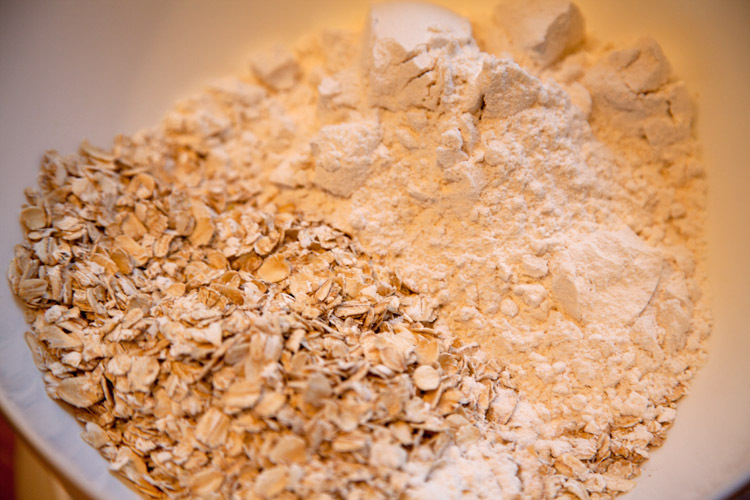 In a large bowl, combine oats, flour, salt and pepper. 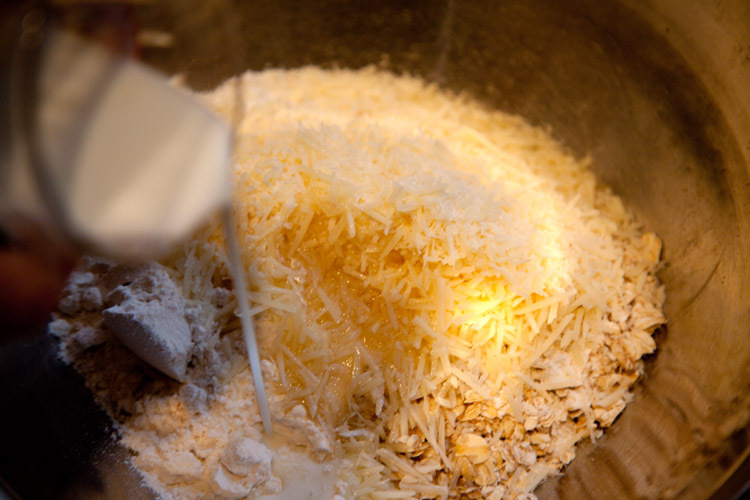 Add olive oil and the grated cheese. 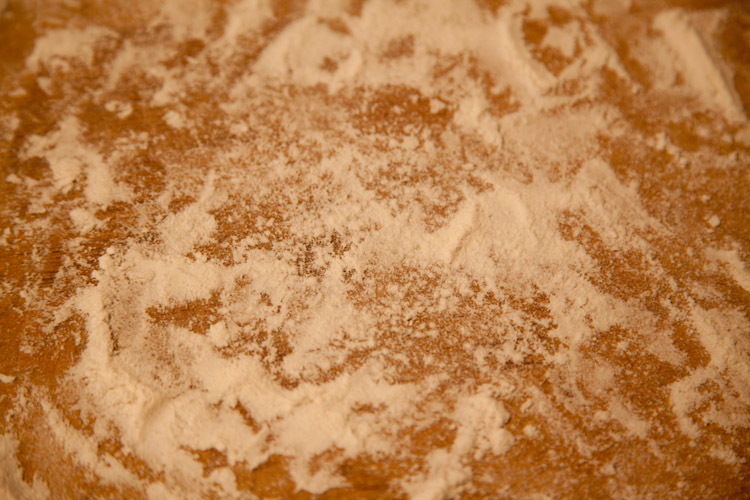 Pour milk. Knead the dough by hand; pour more milk if necessary. 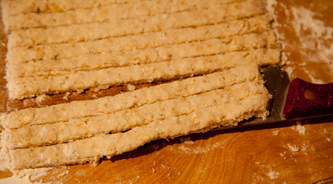 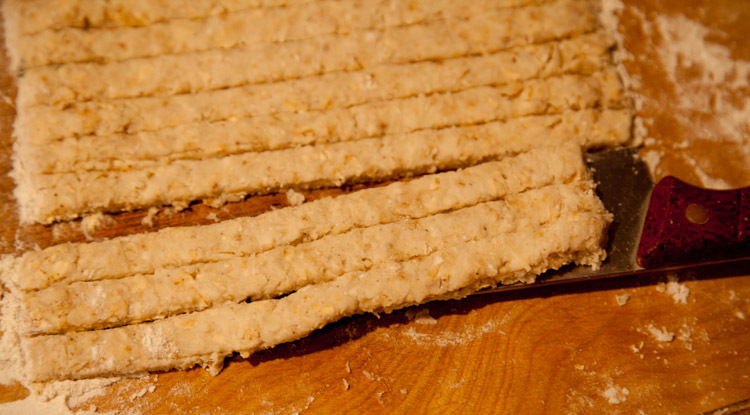 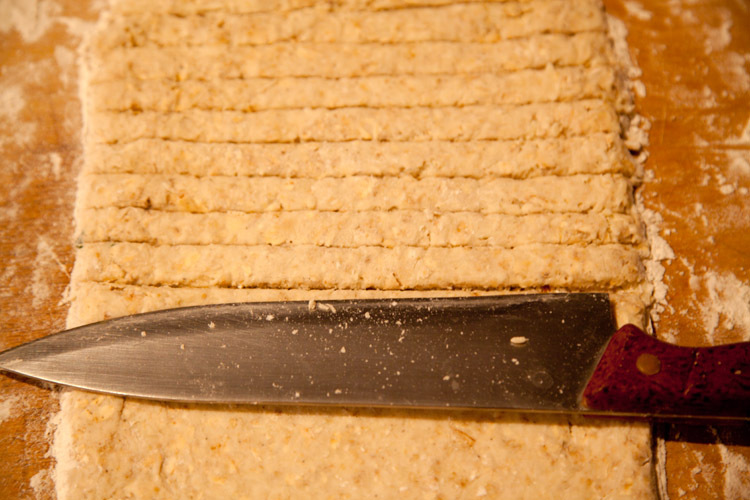 Roll out the dough into a 1/4-inch thick rectangles and cut into 1/2-inch wide strips. Lay a baking sheet with parchment paper and grease with oil. Arrange the sticks on a baking sheet and bake in a preheated to 380 F oven for 12-14 minuts (until golden brown). 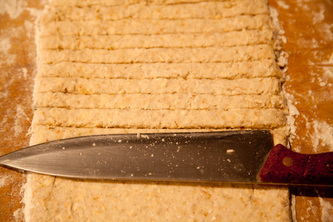 Serve with your soup or it can be a great snack with a glass of wine.